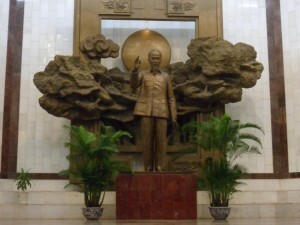 46-50 Hanoi, Ha Long Bay to Hue – Do your dream! Hanoi is still a city of chaos – not a place to come if you want a relaxing time. For new westerners street eating isn’t easy, most places don’t have menus or speak English and as Mel doesn’t eat meat or speak Vietnamese its a bit tough. Also its a bit cold and sitting outside isn’t ideal especially on tiny plastic chairs that are meant for primary schools. But, we found a nice restaurant with street-type food (and more) for only a little extra – and you can sit inside with a beer! Our new Hanoi regular haunt. 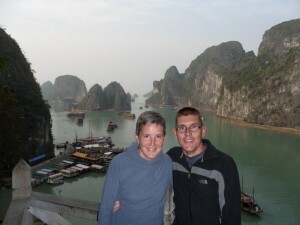 We booked a trip to Ha Long bay which to be fair is a must see, even if (like us) you’ve already visited multiple limestone lakes/sea/caves in recent weeks. After looking into a DIY trip we opted for a cheapish ($84) overnight trip, which included the 3.5hr minibus ride to Ha Long town (an adventure in itself!) 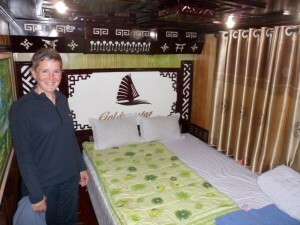 and an overnight stay on a “junk” boat. 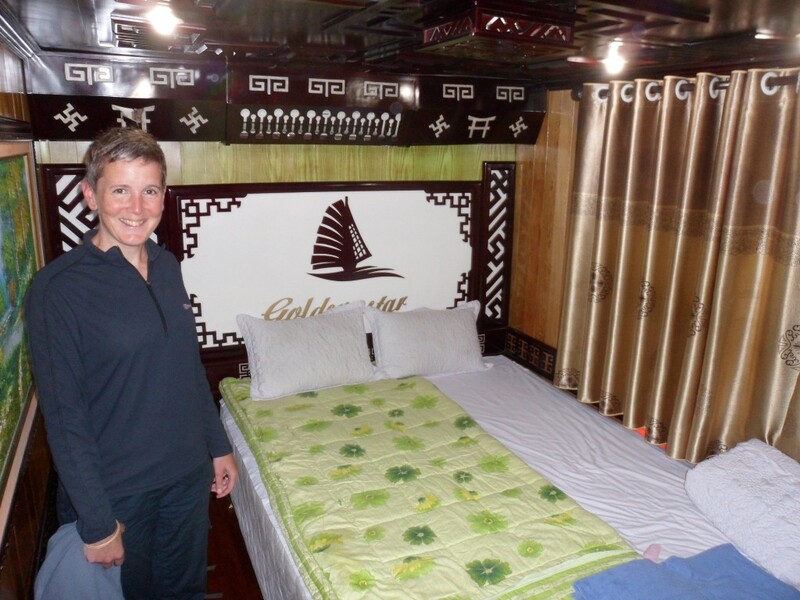 We were expecting a dire boat, but the cabin was a double en-suite room with AC which was actually pretty good. Food was good and we were lucky with a nice group on the boat too, French, German, Isreali, Brazilian, Polish and more, and a guy from Slough! The limestone cave was a bit standard, and the walk up a hill for the view was pretty good. Kayaking was okay but, again, fairly standard, and as the sun was behind cloud it wasn’t really the weather to max out the watersports. Overall though a pretty good trip and superb if you’ve not been to similar places recently. 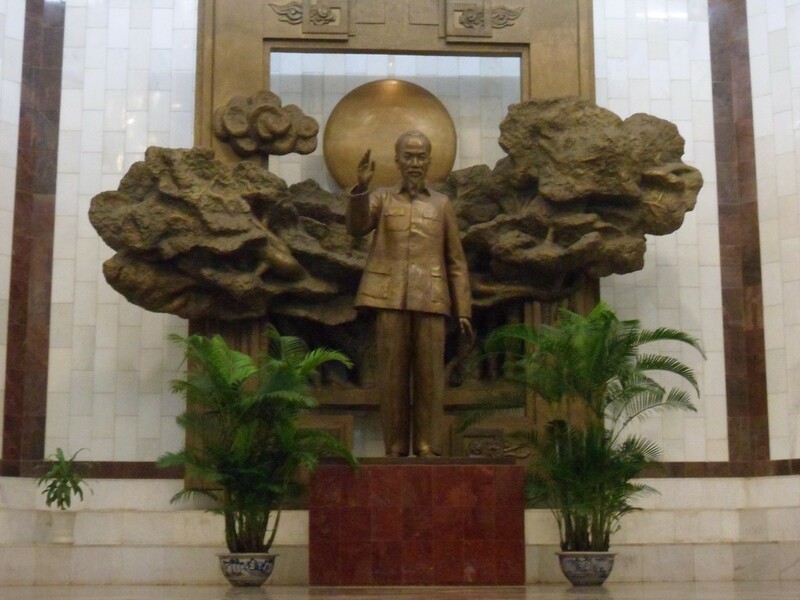 Our final Hanoi day saw us take in the Women Museum; Ho Chi Minh museum and the Literature temple. All good sites but some of them a bit lost on us I’m afraid! 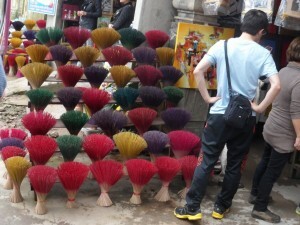 Our next stop is Hue (pronounced hway), and the travel options include overnight train journey, overnight bus, or fly. 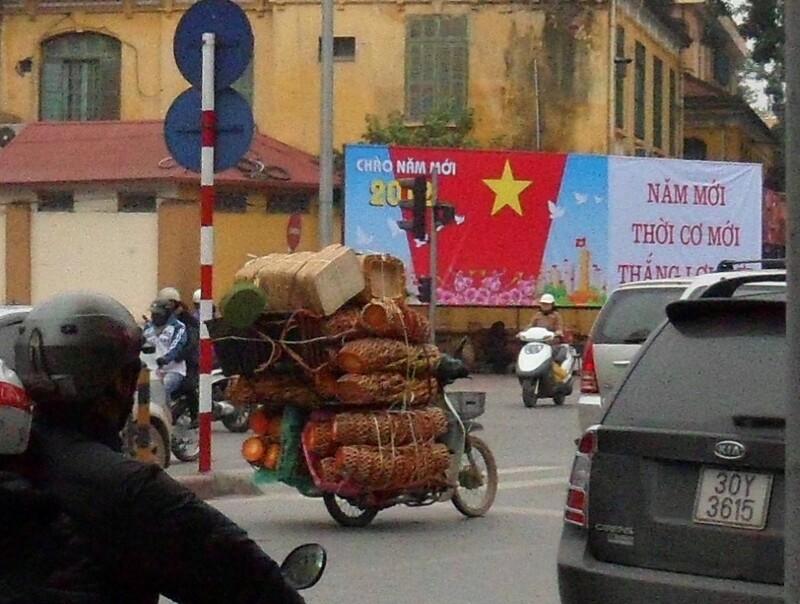 After seeing a French couple have to get a taxi-bike (3 people and 3 rucksacks on a Moped), and after the 3.5hr bus ride to Ha Long bay we’re glad we took the safe and quick chicken route and opted for a quick flight – £56pp. I know…..
However…. when we were taxiing the plane had a problem with a “flight control system” so we had to return to the gate. Obviously with a hammer and gaffa tape they fixed it, but then said “its now air worthy but we can’t land in the wet – and its raining in Hue” – so they tried to find another plane. But then they got approval from Airbus that we could land in the rain so we left about 90 minutes late. 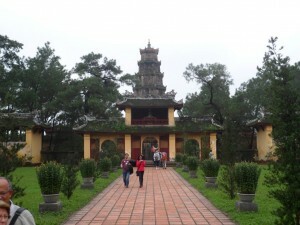 For our first day in Hue we went on a typical ”city tour”. 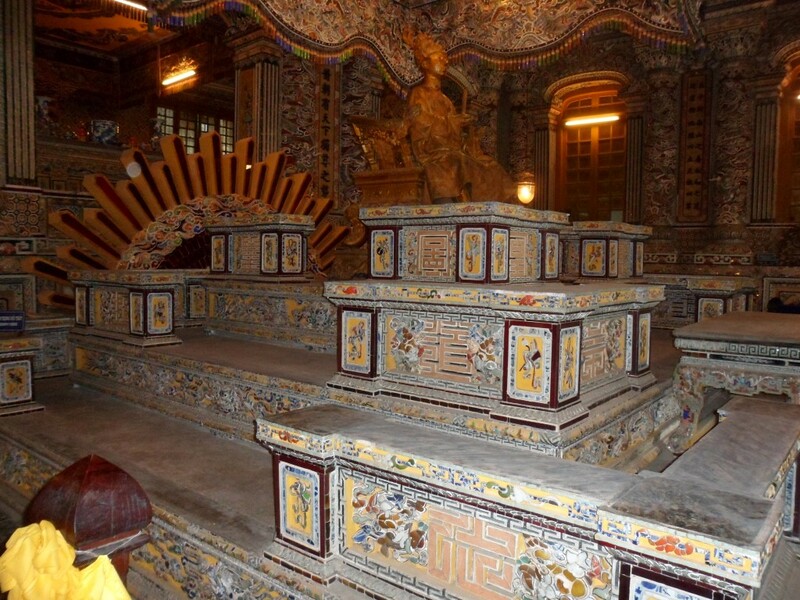 Whilst we generally hate being herded around, a few of the must-see tombs are miles away and the only way (bar expensive taxi) is via a tourist bus. 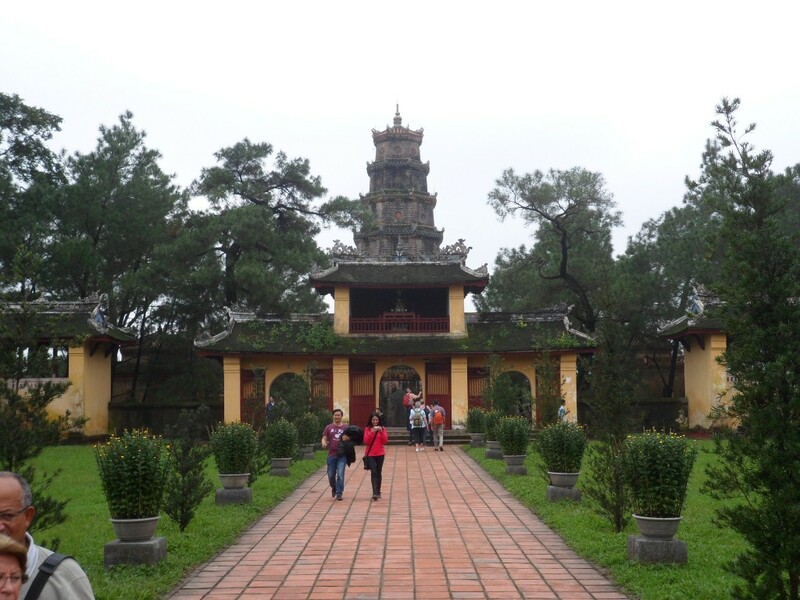 So after a quick dash around the Citadel (more time needed) plus a few other okay ish bits n bobs we went to the 3 tombs – Minh Mang; Khai Dinh and Tu Doc. 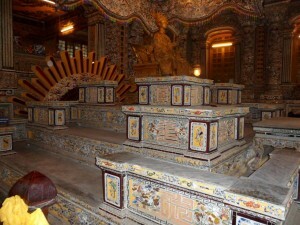 All different emperor tombs ages and styles and all impressive in their own way – either location, build, or natural beauty. Well worth it – though the dragon boat bit back wasn’t really exciting!